Christmas in the Scout Den…. It’s 9am on a cold, crisp Saturday morning. Already, the Scout Den is a hive of activity. The Burco bubbles in the kitchen and mugs are warming on a tray. 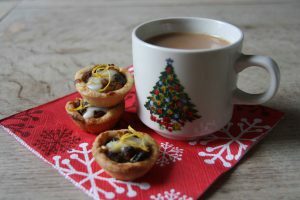 There is a plate of mince pies sitting alongside (the er, breakfast of champions…) and two packs of chocolate biscuits standing upright, awaiting the call to duty. On the eve of Christmas, theirishscouter would like to thank all our readers and contributors during 2015. We wish everyone a wonderful festive period and the very best of everything for the year ahead.